I started Strength and Conditioning coaching back in 1998 as a personal trainer. I started coaching college rugby back in 2002. My coaching career led me to start and coach a high school team for ten years. During that time in the high school, I also did dryland coaching for some of the winter sports teams. For the past four years, I also have coached at Bryant University. 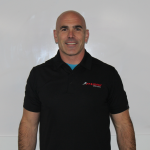 I have been involved with, owned and coached in a CrossFit for over ten years, and have been involved with Parisi youth performance coaching for almost a year. This is a lot of time, a lot of exposure, and a lot of reps watching people move, watching athletes move, watching young people move, and watching youth athletes move. There has been a digression in the two decades I have been involved with coaching in the quality of movements, and the athleticism of youth athletes. Issues with youth athletes lack of mobility factor into this transfer of movement to athletic skill. A quick easy assessment of this is asking any athlete to stand in the universal athletic position. To enter this position, drop into a quarter squat, with your feet flat around shoulder width apart. Push your hips back behind your center of gravity, keep your shoulders in front, and flat back around 45 degrees. Your weight should be distributed throughout your entire foot, with your knees over your toes and shoulders over your knees. Hands can be gently on knees or in front. You will see this position in many variations, in all sports, whether on the football field, baseball diamond, rugby pitch, or ice. Countless athletes at the youth level, high school, and even college level, cannot properly, or comfortably get into this position. Why are Young Athletes So Immobile? …which prevents them from properly moving, and establishing proper positioning of their bodies for sport? They all start off as toddlers with the limberness and full range of motion of all their mobile joints. There are a couple of issues I see at fault, and many of them are societal. First off, a majority of the day, our kids are sitting in school (standing desks could be the answer). They are stuck at their seats, being inactive. Sitting mutes the hips as well as contributes to the shortening of heel cords. This along with the types of sneakers kids usually wear, thick sole, and elevated heel (compared to something like a indoor soccer shoe, or even a Converse All Star), leads to tight heel cords and rigidity along the posterior chain. Without proper hip flexion, and pliability in the hamstrings and calves, the attainment of an athletic position is difficult. They are also sitting in a kyphotic position, shoulders rounded forward, no engagement of the core muscles, head forward, upper back rounded. Too many young athletes have no upper back development and their go to position is this rounded back, instead of a strong flat back position. This position is a weak position compared to what a strong athletic position looks like, and spells potential disaster for the athlete depending on what sport they play. After school, the situation doesn’t get any better. Kids come home, sit even more, watch TV, play video games, etc. This has been the habit for much of their lives, and the path of least resistance has been ingrained in them throughout their development. Kids fall, parents pick them up, kids rough house, parents tell them to stop, kids try to run up the slide the wrong way, parents tell them to stop. I frequent playgrounds with my two little monsters and it’s shocking to see some of the lack of physical strength and lack of body control in kid 3-4 years older than my kids. Lastly, as kids go through different growth phases, and their lever lengths change, they may need to have to relearn positioning with their new bodies. This can be frustrating and some athletes, do not bother with this necessary readjustment, however, it is imperative in establishing a base position for athleticism. There is no cause for alarm, as this is all rectifiable and the time to start is now! A proper training program, like ours, helps to develop the movement patterns, the mobility, the muscle strength and coordination, to be able to position themselves properly, and enhance their athleticism. 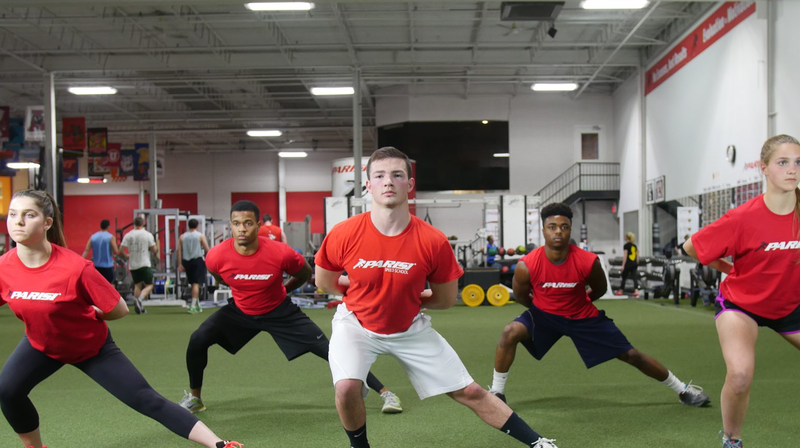 The Parisi program is built upon research backed methods to enhance core and hip engagement, while improving core stability, and strengthening the musculature needed for success in sport. The program utilizes exercises utilized which will aid in mobilizing the hip and thoracic spine, which helps emphasize and strengthens the universal athletic position. This carries over to enhanced positioning in sport which will result in greater on the field success. This enhanced strength and mobility will also have carryover to posture and body awareness off the field. Lastly, mobility is essential for long term health and well being, outside of athletics. Help set up your youth athlete for long term success and health, by making sure they address their physical limitations today. Judah Boulet is the Owner and Program Director at Parisi Speed School of Rhode Island. Judah is a Certified Strength and Conditioning Coach and Head Rugby Coach at Bryant University. Judah holds a Master’s Degree in Pharmacology and Toxicology from The University of Rhode Island a Bachelor’s Degree in Biology from Siena College.